We Can. We Will. Rebuild TBS. 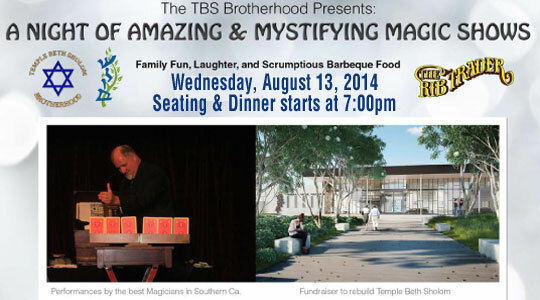 Come join the TBS Brotherhood and our TBS Community at a fun night out – dinner & a show! – featuring performances from the best magicians in Southern California. Fun for all ages, come with your friends!